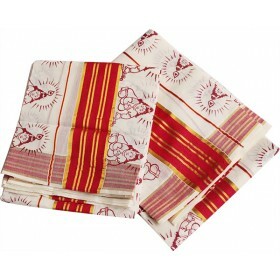 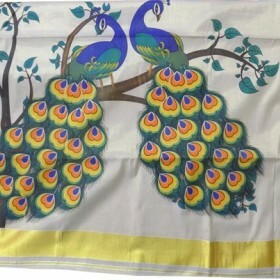 Exotic Kerala kasavu saree specially designed with printed mural design of peacock on pallu. 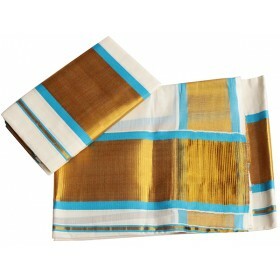 Saree i..
It’s the hand painted Kerala cotton saree with dark blue colour in the bottom portion of the saree and also a small portion filled with the design work after that golden kasavu border makes the highlight of the saree. 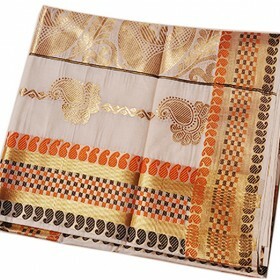 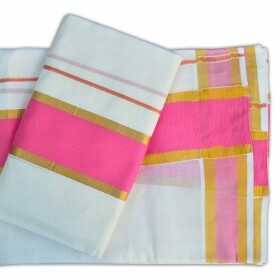 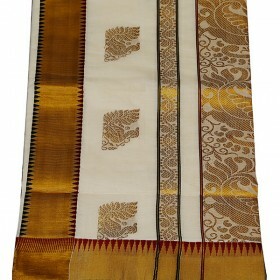 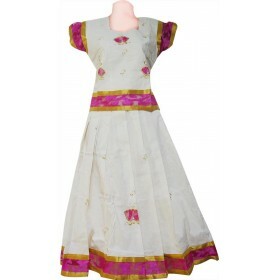 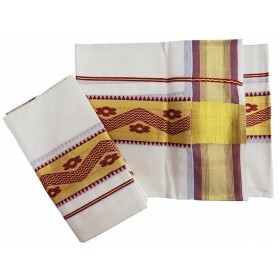 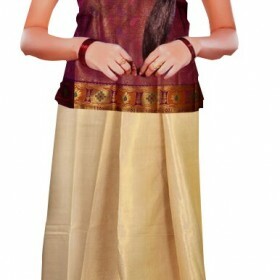 The top most part of the saree combine with the mixture of golden and yellow colour. 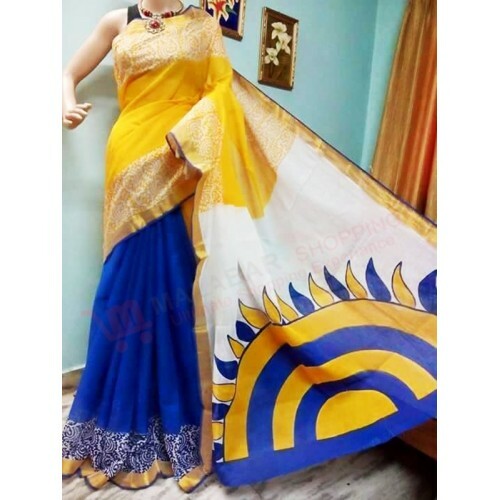 The art work of konark sun model hand painted in yellow with blue colour makes the saree beautiful while wearing.